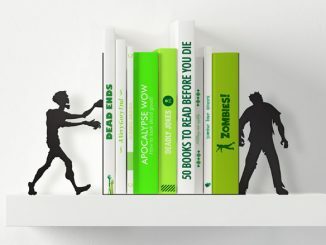 We’re going to need lots of reading material when the dead start walking and eating people because life can’t just be all about survival, and the Zombie Metal Art Bookends provide a way to keep your collection of Walking Dead comic books organized while also reminding you that a zombie could end up chasing you at any moment. 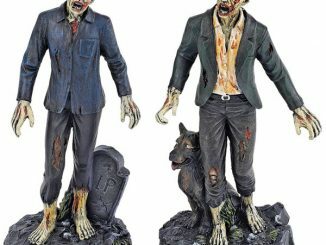 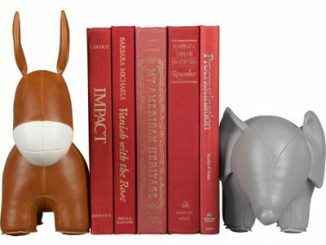 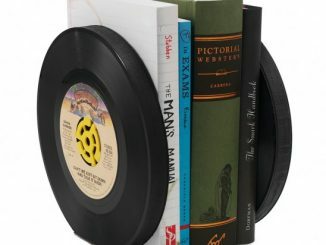 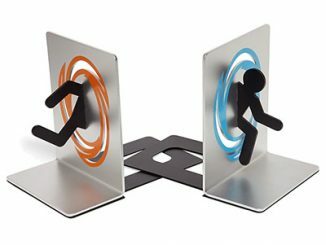 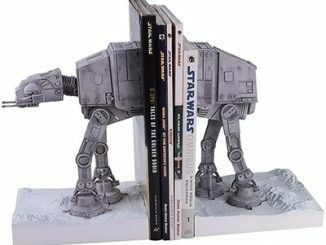 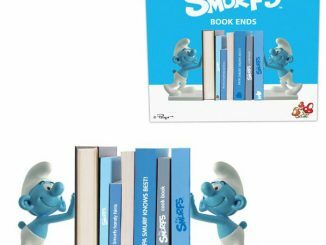 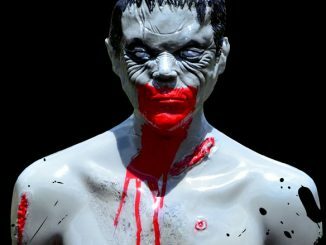 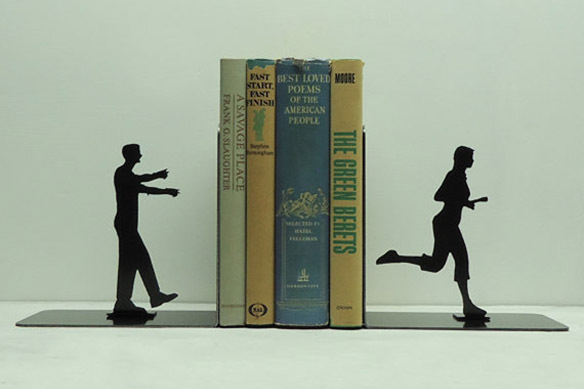 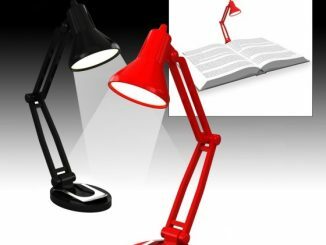 Made of solid steel, the two bookends together depict a scene that will be all too common during the zombie apocalypse – a brain-starved zombie in pursuit of a woman who wants nothing more than to make it back to her camp and kick back with a good book. 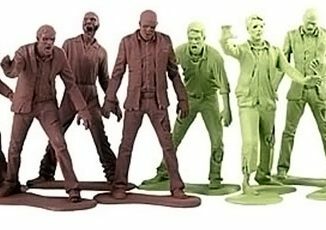 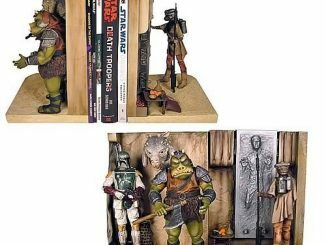 The Zombie Metal Art Bookends are available for $62.99 at Knob Creek Metal Arts’ Etsy shop.